01.09.2016. nib Stadium, Perth, Australia. World Cup Football Qualifier. Australia versus Iraq. 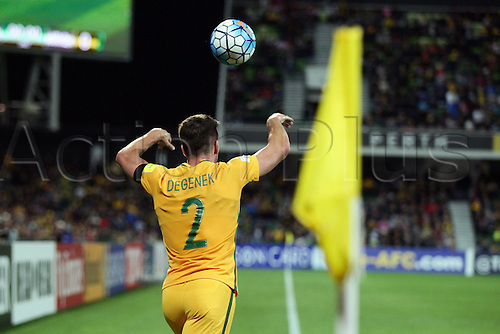 Milos Degenek throws the ball into play during the second half.